Readers, I hope you all had a wonderful Christmas? Be honest, how many boxes of chocolates have you scoffed so far?! Today I’m off to catch up with some old friends in Glasgow and in a rush to get out the door this morning, realised I hadn’t made time for breakfast. Rather than grabbing the box of Matchmakers staring at me on the counter, I found a little Graze snack pack living in the fruit bowl. Anything under the name of Marvellous Macaroon excites me. So back to the point of this piece, I spoke to the team at Graze a few months ago about writing a review of their product range. 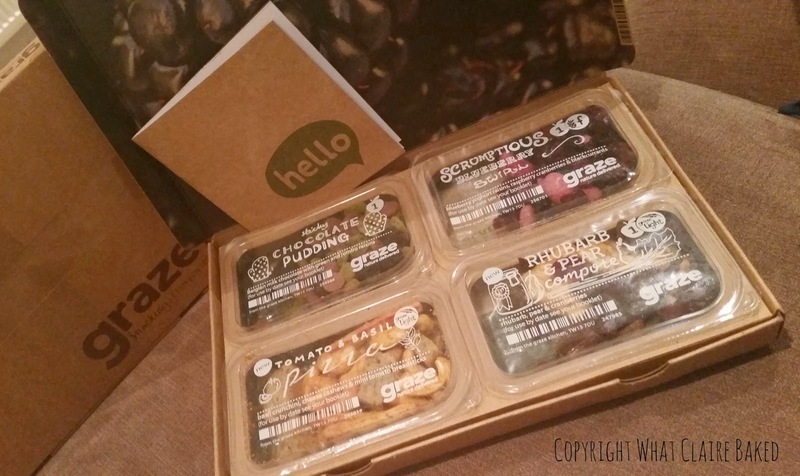 A few friends and colleagues had spoken to me previously about Graze, but I’d never got round to ordering one for myself – considering it a bit of a marketing fad perhaps. First box arrived courtesy of Amy at Graze. Opinion changed. The boxes are cute, the packaging is recycled, comes with a napkin for cake-face wiping and there are four little packs of excitement in every box. I’ve been getting my box delivered on a Tuesday for the last few months and still get excited when I see it lying on the mat! The website is genius – you create your account, pick products you like, would like to try and note what’s a definite no no. It’s best to do this before box one arrives to make sure you actually like the contents. You can theme your box if you like – I get a nibble box delivered for the sum of £3.99 – that includes postage. At first I questioned the cost – but if you break it down – the postage is included, so lets knock £1 off for that – for around 75p per pack, you get 4 snacks delivered. The way I see it, those four snacks are Monday to Thursday covered off for my mid-morning snack at work. How much would a packet of crisps or a cake cost? 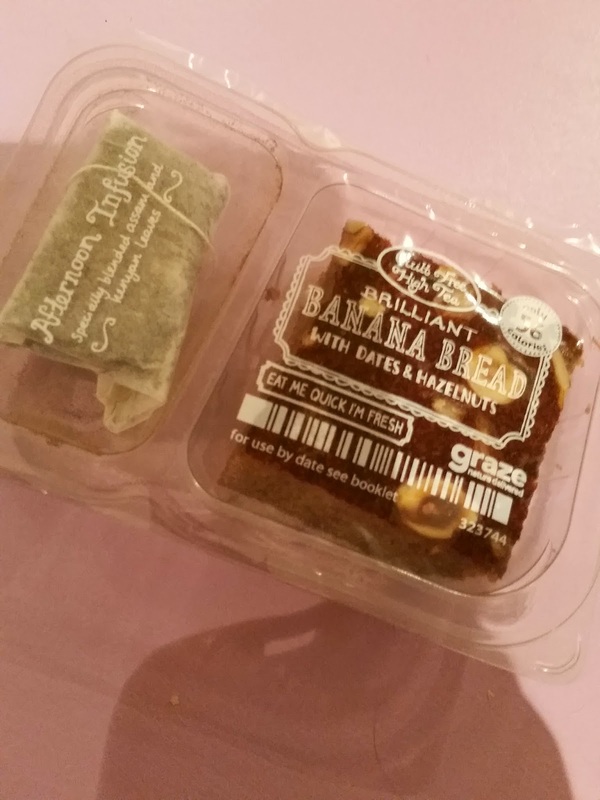 Snacks range from peanut butter dippers, to dried fruit, flapjacks, cakes which come with a teabag (that’s a finished snack solution right there). Oh, if you happen to be going on holiday and have the fear about returning to eat 8 snacks in one sitting, fear not… you can switch your account to holiday mode and stop your packages for a couple of weeks until you return. At no cost… bonus! 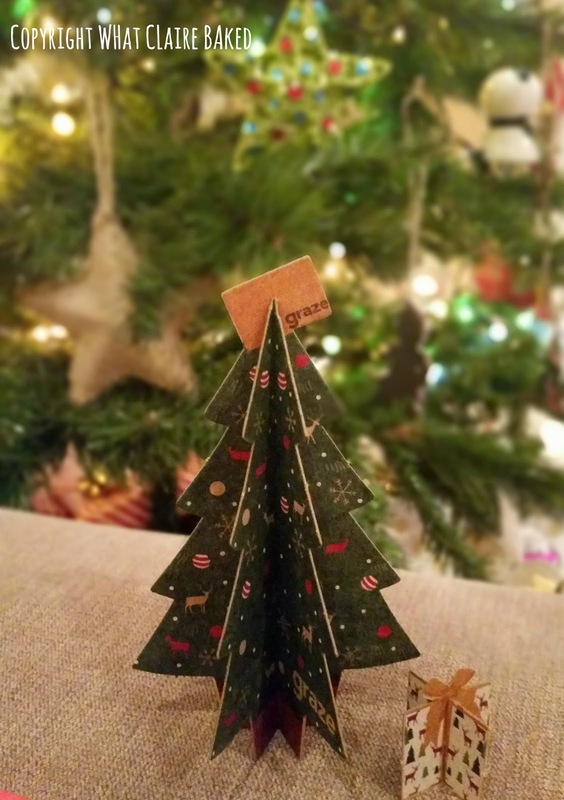 The boys and girls at Graze know how to have fun – in my Christmas box, I got a cardboard pop up Christmas Tree to decorate my desk. The box came in limited edition oh-so-cute reindeer print as well. Overall, if you are an office worker, looking for something to replace your daily Mars Bar/Crunchie/Dairy Milk* fix, I’d recommend switching to Graze. Perhaps not quite as healthy as some fruit or carrot dippers, but we can’t be saints all the time surely?! 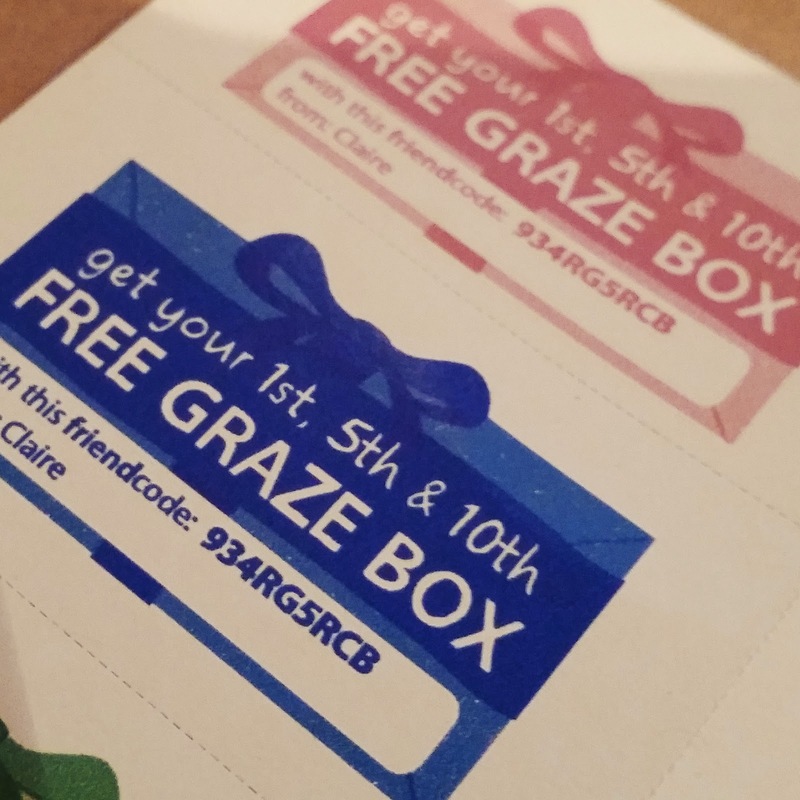 As a thank you for my loyalty and to my fans for reading this article, I have a Graze Box friend code to share with you all. 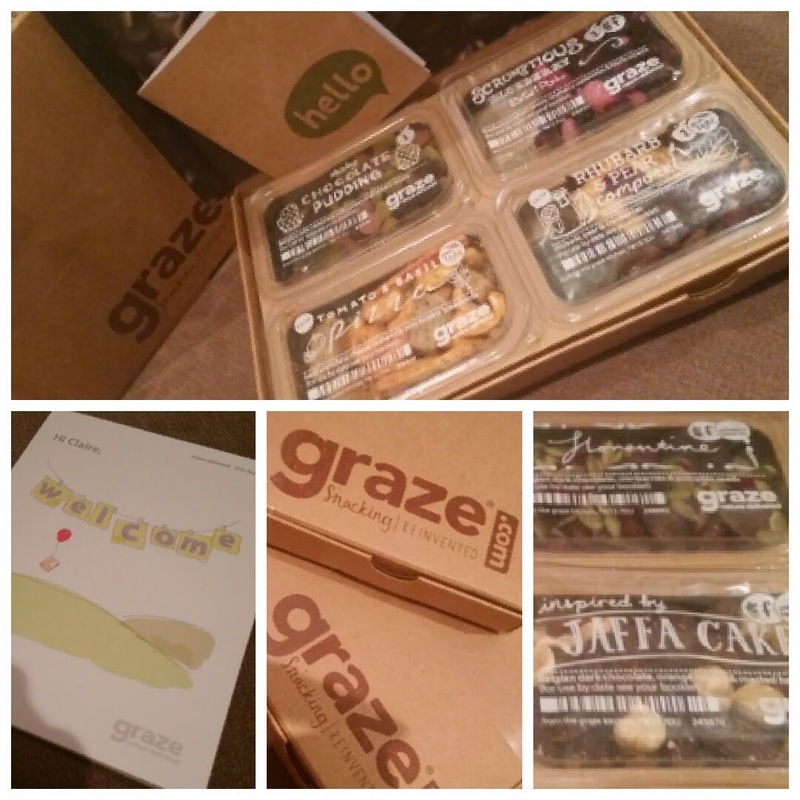 This entitles you to your first, fifth and tenth Graze Box delivered for free. If you’d like to give it a go, just use the code below and hop on over to Graze.com to get started.